All-In-One Point service that is easy to earn and use points and a coupon. Store list acquired through the application, will be able to manage points and coupons that are currently held. Acquired points and coupons, is available immediately in the store. 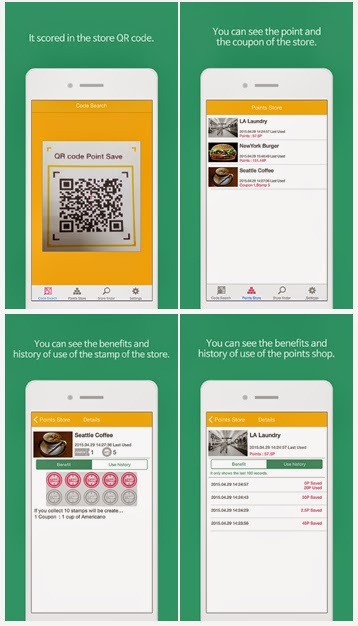 •Through the store QR code, earn points and coupons in the store. •Acquired points and coupons, is available immediately in the store. •You can check the store-specific point and coupon use history. 2.You can confirm the acquired points and coupons. 3.You can see the benefits and history of use of the points shop. 4.You can see the benefits and history of use of the stamp of the store.